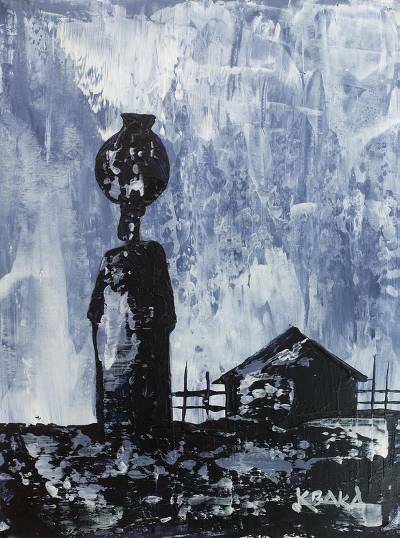 Signed Impressionist Painting of a Villager from Ghana, "Woman with a Pot"
Inspired by a quotidian scene from Ghanaian life, artist K. Baka paints this composition with an impressionistic style. The silhouette of a woman is depicted alongside her home, framed against a cloudy sky. Carrying a pot atop her head, she is on her way to collect water for dinner.